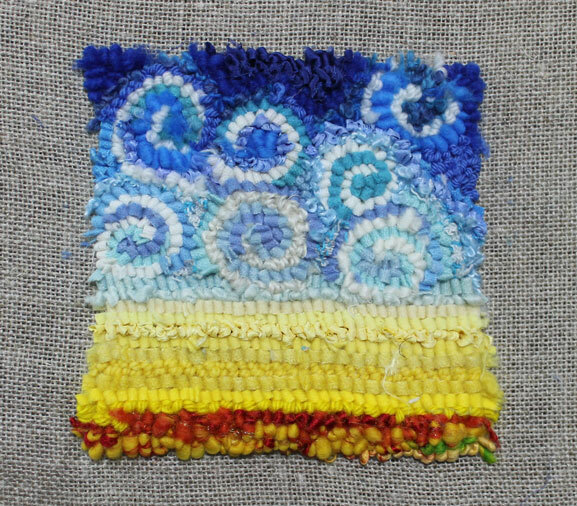 Finished the prairie sky spiral design wall hanging. Talked to hubby about opening our painted shut living room window for air circulation once the sunroom studio is shut off from the rest of the house by sheets of plastic. finish the prairie sky rugettes for sale. In other news, I bought a couple of new books at my local yarn shop – French Girl Knits and Sock Yarn One Skein Wonders. Both of them have small projects that can be done in fine yarn. Some are smaller than others. They look like good books for making gifts for the younger set. I’m thinking 30s and under. But also some good baby and toy ideas. SYOSW has all kinds of doll clothes and toys to knit, as well as bags, scarves, baby clothes, hats, fingerless mitts, gloves, and even socks! FGK has socks, hats, fingerless mitts, shawls, and lots of other patterns. I am looking forward to working out of these books when my Christmas orders are finished.